As America confronts the opioid crisis, environmental scientists are warning about a related problem. Chemicals from pain-killers and other drugs often end up in lakes and rivers, creating what some scientists say could be a deadly cocktail for fish and other wildlife. “What we use in our everyday lives goes down the drain and ends up somewhere, it just does,” says Emma Rosi, an aquatic ecosystem ecologist at the Cary Institute in New York. Rosi’s team studies a long trail of chemicals from opioids, antidepressants, and even illicit drugs, like cocaine. They get into the environment through human urine and feces. 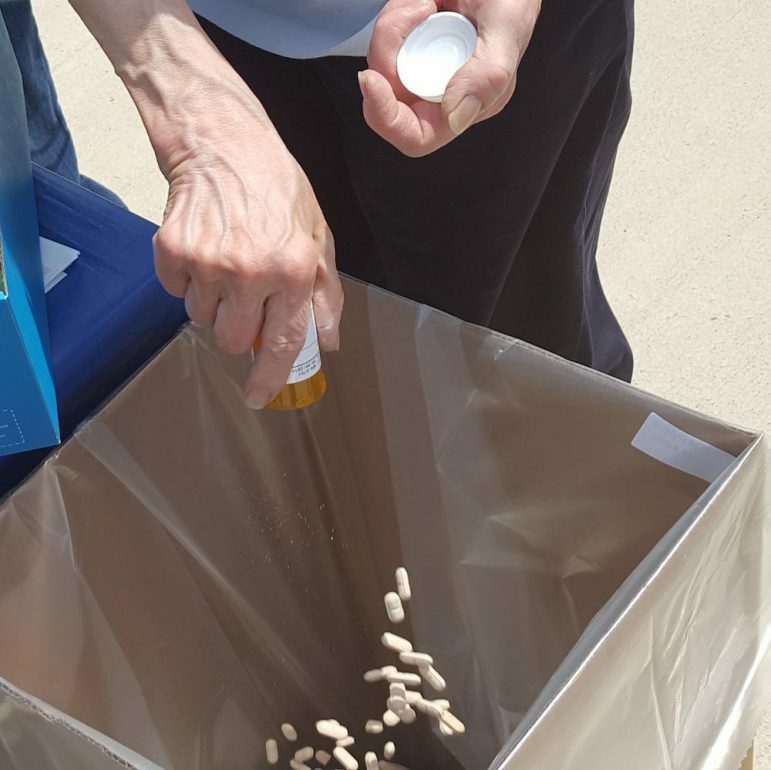 Sometimes unused medications are flushed down toilets and drains. The compounds eventually reach streams, lakes and rivers. It’s a problem across the Great Lakes region. Researchers have found nicotine in Lake Michigan, caffeine in waters in northwest Ohio and pharmaceuticals in Illinois’ Calumet River and Wisconsin’s Fox River. In the Niagara River, which leads to Niagara Falls, elevated levels of antidepressants were found in fish brains. Researcher Alicia Perez-Fuentetaja from Buffalo State College’s Great Lakes Center and Diana Aga from the University at Buffalo worked on the project. Perez-Fuentetaja saysd these chemicals are designed to affect human behavior and that means fish could be affected as well. “People ask me, ‘Oh are they happy?’ It’s like, no. I don’t think antidepressants make people happy either. I think that people don’t care so much about things and that’s exactly what happens to fish,” she says. Perez-Fuentetaja says fish might become less aware of the risks around them and expose themselves to dangers. They also might become disinterested in reproduction or eating. Rosi’s research has a different aim. It shows that compounds from amphetamines and other biologically active drugs may cause aquatic insects to emerge sooner, giving them an extended life cycle. Keeping these compounds out of the environment has become a priority for some communities. Erie Co. Health Commissioner Gale Burstein says this process helps keep Lake Erie and other waters clean. Burstein says these drop off sites allow anyone to help keep drugs out of the Great Lakes ecosystem.